Oooh thank you! I’m terrible with makeup but I want to learn, so this is super helpful. I am definitely a BEGINNER in this realm, so thank you for the tips! Your lip color is amazing! And your highlighting looks perfect . . . some people go way too overboard and they look like an alien instead of beautiful and glowing haha. I am such a beginner when it comes to makeup. Video tutorials are the only way I learn, so this is awesome! Absolutely lovely! Thank you for demystifying how to apply highlighter in such a natural way. Very helpful! I have never been able to apply highlighter well, but I absolutely love the look! It’s definitely something I keep trying at! I love highligters and I currently use the makeup revolution shimmer brick which is really great and works well for me! Thanks for the informative video! Great tips. 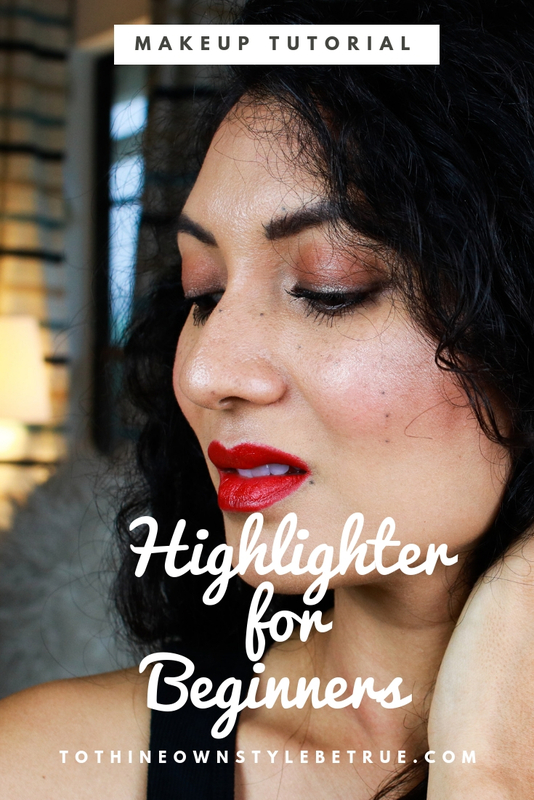 I am not the best at highlighter or bronzer so this was helpful! Radiant and youthful is exactly what my face needs! I have a great highlighter but don’t use it often. I should change that. My daughter would definitely be curious about this. I wouldn’t know where to start but I am sure this could be helpful to her.